This is a shortened version of the Cadell pedigree. For security purposes reference to current generations has been omitted. The full edition is password protected; for access please apply to the e-mail address below. This is the family tree of William Caddell (1668 - 1728) whose origins are mysterious. He arrived in Haddington (East Lothian, Scotland) in 1701. His name suggests that he came from further north (Cawdor, maybe) but, as yet, no record of his parents or siblings has been found. By trade he was a journeyman glazier. He was employed by James Hogg, a burgess of Haddington, whose daughter Anna he married on 13 July 1701. They had seven children, three of whom died young. William became a freeman of the town on 26 June 1704. At the time of his death (on 20 May 1728) he was described as a "merchant". According to his monument in the church of St Mary, Haddington he was 59 years old when he died. Sadly the inscription is now illegible because the stone was exposed to the weather for many years. William's family name lost its second D during the course of the eighteenth century and became "Cadell" - as it is today. In Scotland family members prefer to retain the original pronunciation with the emphasis on the first syllable. Hence Cadell rhymes with Paddle! In the nineteenth century two branches of Scottish Cadells emigrated to Australia (and promptly inter-married!). The family down-under has flourished and now almost out-numbers the rest of us. And there are Cadells in England, America, Denmark, South Africa, Malaysia and goodness knows where else! Not ALL Cadells are related. We claim no descent from the ancient Welsh royal family and there are un-related Cadells from Somerset and in the south of France (who may have originated in Sardinia). William's family thrived thanks to various industrial ventures in East Lothian. They established a family seat at Cockenzie, on the southern shore of the Forth estuary about 10 miles east of Edinburgh. 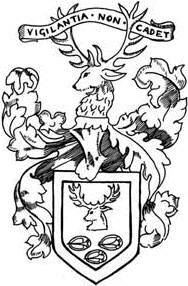 In 1759 William's third son (also William) founded, with two English partners, the Carron Iron works in Stirlingshire. His son (yet another William) managed this great enterprise and set up house nearby. Cockenzie was inherited by his younger brother John whilst the senior branch of the family moved to the west of Edinburgh, becoming the Cadells of Grange in the process. Thus William Caddell's family tree is entitled "The Cadells of Grange and Cockenzie".